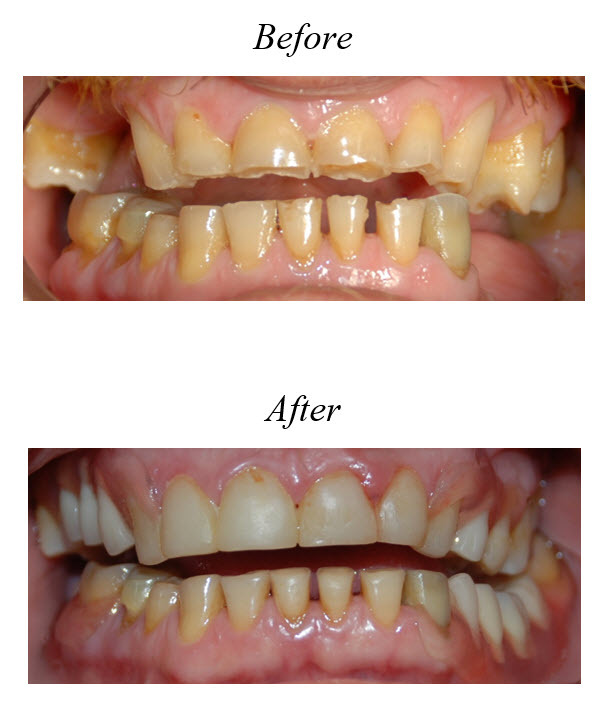 At Ogilvie Dental in Ottawa, we can combine several dentistry procedures to restore healthy smiles in cases where teeth are severely worn down, missing, or badly damaged. In the cases where a full mouth restoration is needed, we’ll work with you to develop a treatment plan for rebuilding and restoring your smile. This plan may involve a combination of procedures that may include periodontal therapy, endodontic treatment, veneers, bridges, crowns, implants or other dental work. How do I know if I need a Full Mouth Restoration? The first step to determining if a full mouth restoration is right for you is a thorough examination. Our team will assess your mouth, take full-mouth x-rays, and take complete impressions of your teeth. Once we have a full understanding of all of your dental needs, we will be able to map out a complete, custom treatment plan.